About halfway into the Barbadian documentary Hall, which started off as a standard ‘true crime story’ of a man convicted for the murder of an elderly plantation owner, the narrative shifts into a tale of nearly pure folly and comedy. Criminals and crimes often make fascinating stories. What makes for an even more fascinating story is when the criminal becomes a celebrity. 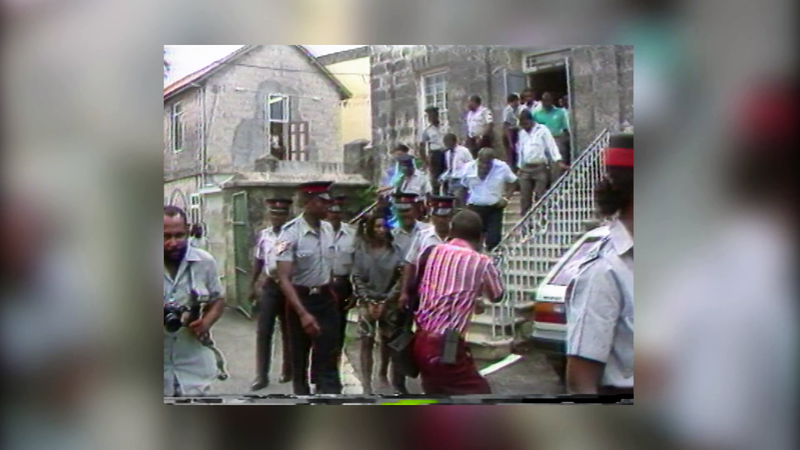 I will say that the compelling story surrounding Winston Hall, the most notorious fugitive in Barbadian history, is one that needed to be told. The great thing about Hall’s multiple prison escapes is that it highlights the dynamic between a man on the wrong side of the law and the general public’s reaction to it. The media fanned the flames of Hall’s escapades, making him into a hero. Musicians took the pulse of the public and songs were composed lauding Hall’s tenacity. Calypso music features prominently in the film and rightfully so. Like the musical art form, Hall himself becomes a form of social commentary on the failure of Barbados’s police and prison service. Director Rommel Hall (no relation to the titular character) spoke of this film as being a labour of love, spending almost a decade attempting to get it off the ground. In the end, I would say it was worth the labour and the love. The audience in attendance actually rooted for a convicted murderer. I have to admit; so did I. In fact, most of Barbados did to. I guess I don’t feel that bad now. Hall is worth your time and attention, because it pulls off a truly remarkable feat, in making a man, who committed a serious crime, a person that you could feel sympathy for, a human that you could relate to, and a fugitive that you could secretly and not so secretly cheer for. The internal conflict it brings on makes this film a true success.